From Bill Shankly’s ’12th best player in the world’ to being let go by Liverpool FC and working in a biscuit factory, before playing in apartheid South Africa and later meeting Elizabeth Taylor, the life of George Scott has certainly been eventful. Now aged 71, Scott can chuckle about most of it, including that claim from the Scottish manager about his ability in 1965. It should have been the start of another glittering Anfield career. But unfortunately for Scott, Shankly’s effusive praise came hand-in-hand with the news that his spell at Liverpool was about to be ended by an unexpected transfer back to his hometown club Aberdeen. It was far removed from how the 20-year-old forward had imagined his time at Liverpool would work out when he joined the club during the middle of the 1959/60 season. With his contract signed and digs near Anfield organised, the young striker quickly got on with the task of trying to climb the ladder to the first team. 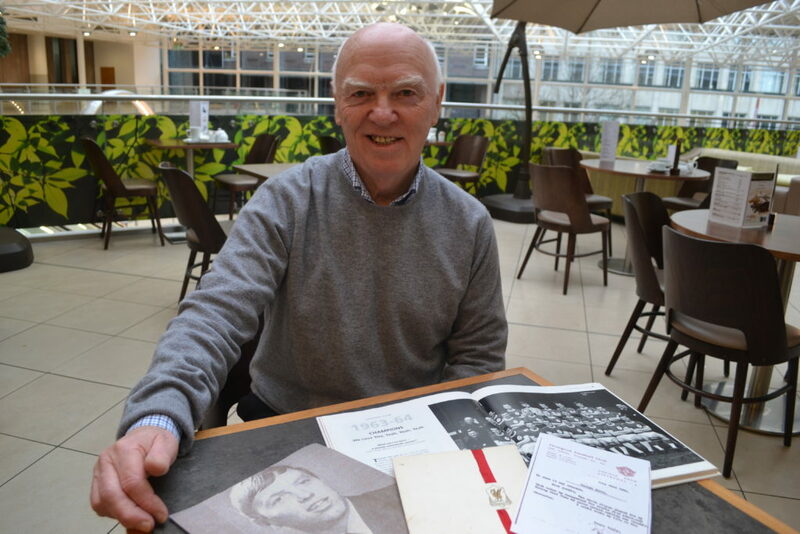 Scott’s steady progress and regular contribution of goals helped him progress through the ranks before a reserve team debut came his way against Manchester United in 1962. There was also a Youth Cup final appearance in a 6-5 aggregate defeat by West Ham the following year, and he was included in Shankly’s squad for a 1964 pre-season tour of North America, only to be cruelly denied a place on the trip due to injury. Later that season, Liverpool reached the 1965 FA Cup final, while Scott consistently appeared on the scoresheet for the reserves. A few days before the Wembley showpiece there was a first division game at Wolves. Shankly used it to give some of his youngsters a rare opportunity, with unfamiliar names such as Alan Hignett, Thomas Lowry, Billy Molyneux and John Sealey all making an appearance in a 3-1 victory. Scott might also have featured had his departure from the club not already been arranged. Instead, he would travel to London blissfully unaware of the news that was about to come his way. He watched from the stands as Leeds United were defeated 2-1 after extra-time to earn Liverpool their first ever FA Cup, and attended the celebration banquet later that same night. When Scott returned to Merseyside the next day, he was still buzzing about the result and was preparing to head into town with his housemate, Peter Thompson. But just before they were due to leave he noticed a letter with an LFC emblem stamped on it sitting on the mantelpiece. “Just leave that,” Thompson urged him. “It might be my new contract,” Scott joked as he tore open the envelope to reveal the shattering news that he was to be sold. “Even now, I can still feel the pain of reading those words,” he says. It was then Shankly delivered his ’12th best player in the world’ line as tears ran down Scott’s face. Scott received a signing-on fee of £1,000, half of which he blew on a brand new Mini, and scored on his Dons debut to leave him dreaming of being capped by Scotland. But a cruciate ligament injury vanquished any such hopes, and led to him being released at the end of the 1965/66 season. It was then that a man called Dave Watson got in touch. He was scouting for a team in South Africa, Port Elizabeth. 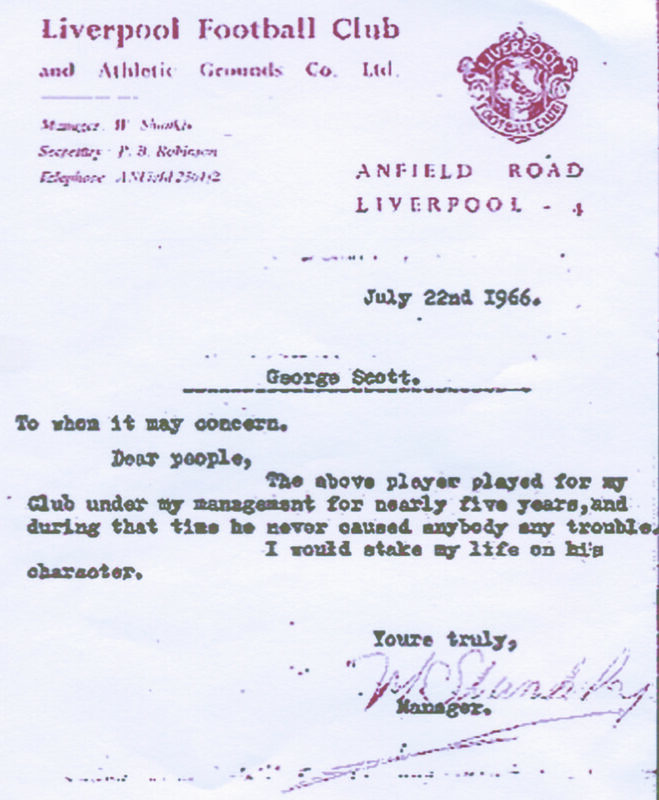 A huge factor in their interest was Shankly, who had recommended his former reserve team striker.Keen to become a footballer again, Scott didn’t give any thought to the political climate he would be entering. “I wasn’t political at all. I knew there was an apartheid regime but had no idea what that actually meant. Really, I should have researched it. But I was so keen to play again that I didn’t think of anything else. 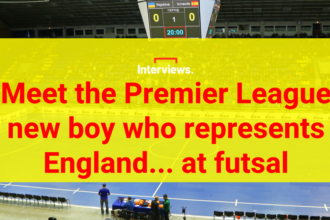 Prior to putting pen to paper, Scott sensibly went to speak to the PFA. 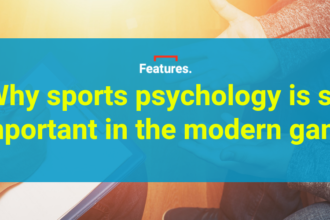 Their advice was to get a written agreement that would allow him to move back to England after two seasons. This was just in case Port Elizabeth were reluctant to let him leave, which seemed to be the trend amongst South African teams at the time. “I had the manager, a guy called Matt Crowe who had played for Norwich, sign a form saying I could come back to the UK within that time period,” he explains. Formalities completed, Scott was on his way south on a flight that took him via Frankfurt. 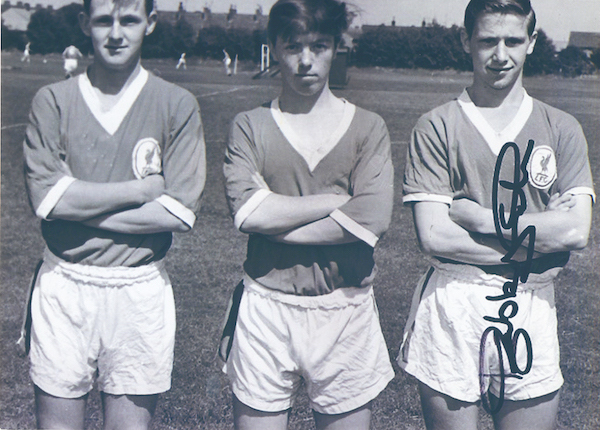 When he arrived there was a huge reception for the striker, who had been billed as a former Liverpool player. His first sighting of the Port Elizabeth setup was impressive. “The big floodlights towering over the skyline were on. With all the cars parked on the streets leading up to the ground, it reminded me of Anfield. “It was a lively game with players getting stuck in. I thought ‘this is my kind of football’. Then I noticed behind the goal at one end it was just all black supporters. I later found out it was called the ‘non-European section’. That completely shocked me. ”We’d go to Cape Town to have a nice time and then look out to the bay and see Robben Island where Nelson Mandela was imprisoned. Upon Scott’s arrival in 1966 the league season was more than halfway through. He managed to net nine goals in the dozen fixtures that remained, including a diving header on his debut after coming on as a sub. It was a spectacular effort that earned him the nickname ‘the silver bullet’. In 1967, his first full season, PE, as they were known, were crowned champions, with Scott playing a major role. “A Johannesburg based side, Highlands Park, had been dominating up until then. Charlie Gough – Richard Gough’s dad – was one of their best players. They had a few guys from Aberdeen in their side too and a Brazilian striker named Jose Santoro. That initial success was followed by a runners-up spot in 1968. By then, though, a move back to more familiar surroundings was at the forefront of his mind. “We’d thought about it anyway because South Africa was so far from home and we had a baby. Then there was an incident at our apartment when a guy tried to break in. “He was hanging around the courtyard of the building, looking suspicious and smoking marijuana. I challenged him but he lunged at me with a knife. It cut straight down the middle of my shirt, ripping it in two, but didn’t do any damage to me, luckily. I just had a minor scratch. Returning to the UK in October 1968, Scott went to see Shankly in the hope of securing a new club. “Aberdeen?” he hopefully suggested when his former mentor asked where he would like to play. “How about Tranmere?” came Shankly’s more realistic suggestion, before the manager phoned Rovers boss Dave Russell and effortlessly persuaded him to sign Scott on a month’s trial with first team wages. “It was third division football but we used to get crowds of 13,000 or 14,000 on a Friday night,” says Scott. “I enjoyed it but I also knew that I needed to find another job as I couldn’t stay playing forever. “In those days you got to 30 and that was it. Most of us had left school with no qualifications so didn’t have many options. Opening a pub was the main route lads went for as there wasn’t much punditry work around then. “I was actually still at Tranmere when I saw an advert for a Nestle sales rep job. Interviews were taking place at the Adelphi hotel in Liverpool city centre and I went along. I almost didn’t go through with it and was about to walk out until I thought Shanks would never do that. So I stayed. It was in his work as a sales rep that Scott met Hollywood movie star Elizabeth Taylor in the Ritz Hotel in Paris. “She was promoting her perfume and I was there with some other sales guys. While she was chatting to us her personal assistant, who carried a stopwatch to make sure everything went to schedule, came over and told her she had a guest. “It was US politician Henry Kissinger. We just sat there in disbelief as he walked in and they started talking. It was a brief taste of a different world. My wife always said I did better in sales than football! As for Scott’s thoughts on the ‘what might have beens’ all these years later? “I have no regrets about any of it. So much of a football career seems to be about being in the right place at the right time.